Pallet rack is a material handling storage rack system designed to store products and materials on pallets in horizontal rows and vertical levels. 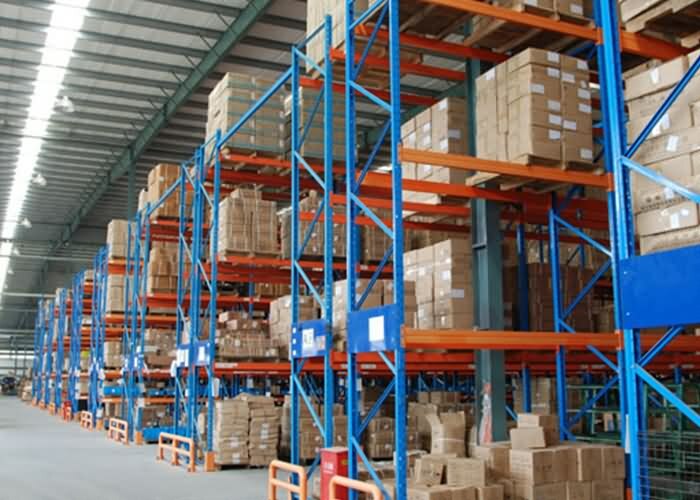 Pallet racking uses horizontal beams that attach to vertical upright frames, creating industrial shelving to support pallets of material that can be accessed by forklifts. In different markets, there're different kinds of pallet racks for certain markets. Upright Frame: upright frames are the vertical supports in the pallet racking system. Frames consist of two single upright posts, several H & D bracings, two baseplates. The structure can be designed with bolted frame and structured frame. Pallet Rack Beam: Pallet rack beams are divided into box beams and step beams. Beams are the horizontal supports in the pallet racking system. Beams come into different length and height depending on the loading capacity requirements.